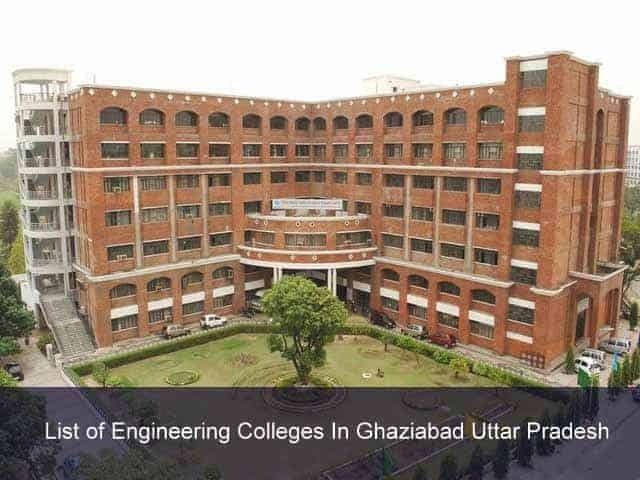 List of Engineering Colleges In Ghaziabad: Ghaziabad is center to NCR of Delhi. It is industrial hub of Uttar Pradesh after Kanpur. You have come here in search of a list of engineering colleges in Ghaziabad, UP. It is also called the gateway to UP and near Hindon River. Ghaziabad is famous for its management and Engineering colleges. So if you are thinking to pursue, then your choice is right. It is a house of top institutions/university of India. Ghaziabad city has a literacy rate of 78% according to 2011 census. We have made a dedicated website to put together all the queries student can have for higher education. So browse through our website and find more list of colleges in another part of country and UP states. Here we have listed out the engineering colleges in Ghaziabad. You will find the list in table form with their address and official website. But before selecting a college for admission you must look for teaching staff, Infrastructure of class, Library, Hostel, academic performance and type of management i.e. government college or private college.